WooCommerce 360 image plugin showcase your products from every angle with 360° photography. Customers can see the product in detail by spinning the 360° image. Upload 360° photography to landing pages to let the plugin create a panoramic view of the product. 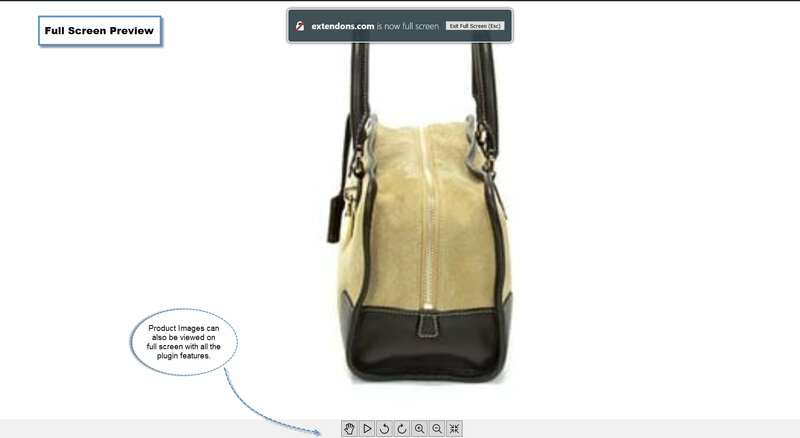 The users can zoom in and out product images with mouse buttons and scroll. They can have a 360° product image view either in a lightbox or full screen. Note:To make the most out of the 360 image view, you need to sort at least 16 images of a product in a series and upload it in a zipped directory. WooCommerce 360° product view plugin facilitate your potential customers in viewing products with minute details. The display of 360° photography exhibit different aspects of your store items so that the customers can have a clear view and quickly take a purchase decision. 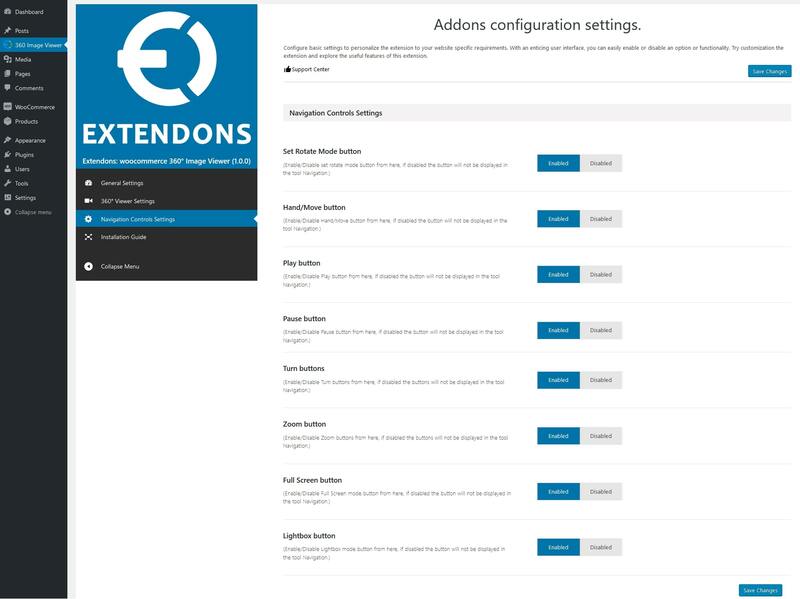 You can allow customers to zoom the product images by using zoom in and out buttons. For a quick image zoom, they can also use mouse scroll. Viewing a product in detail is now made available at a few clicks. 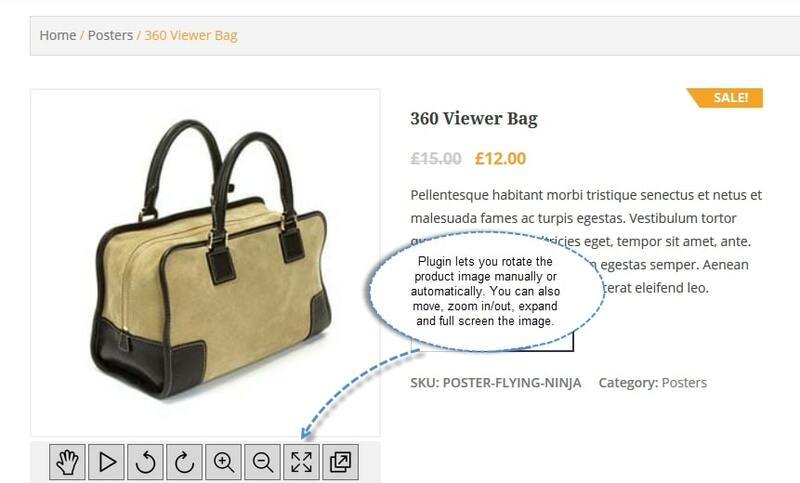 WooCommerce 360° product view plugin permits the users to switch image preview to a light box or full screen. It helps them experience a bigger view of a product. They can play and pause the 360° view, and turn the image side by side as well. WooCommerce 360 degree images plugin enables a panoramic image view for all the products in your online store. You can exclude a product or category where you consider the display of 360° image is invalid. WooCommerce Image 360 Plugin is now compatible with WPML (WordPress Multilingual Plugin). 1) Add Delete button in product form to delete 360 images. 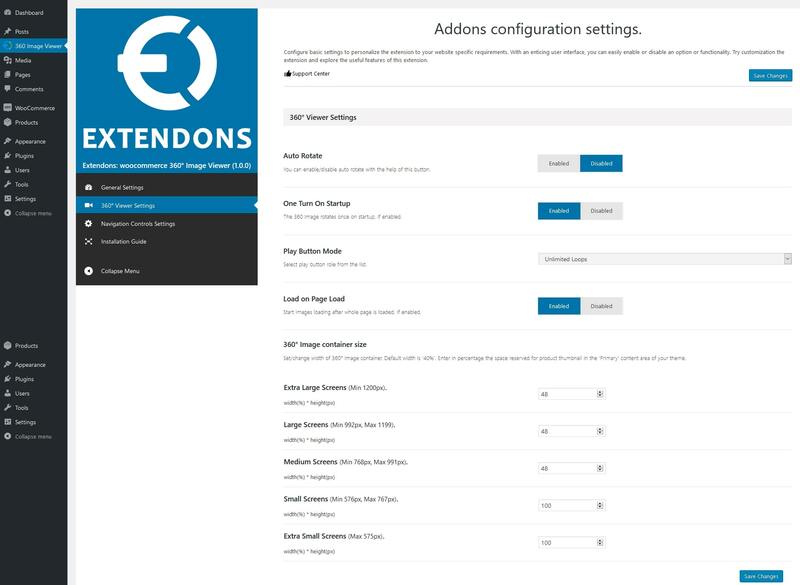 1) Issue fixed with exclude products.